SCVHistory.com | Pico Canyon | Oil Tank Erected, Worker Killed, 1883. Oil Tank Erected, Worker Killed, 1883. Oil tank at left. Click to enlarge. 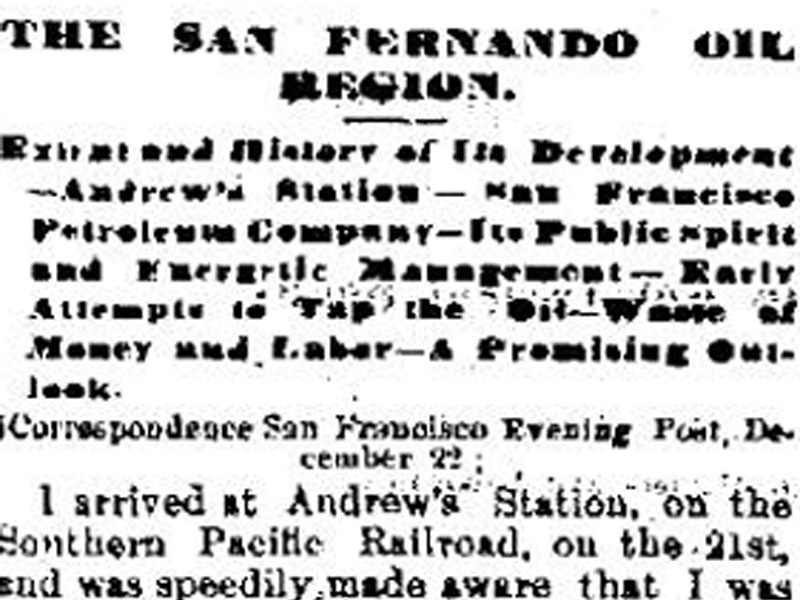 From local historian Stan Walker come these news reports on the construction of a 20,000-bbl oil storage tank on the south side of the Pico Road in 1883. 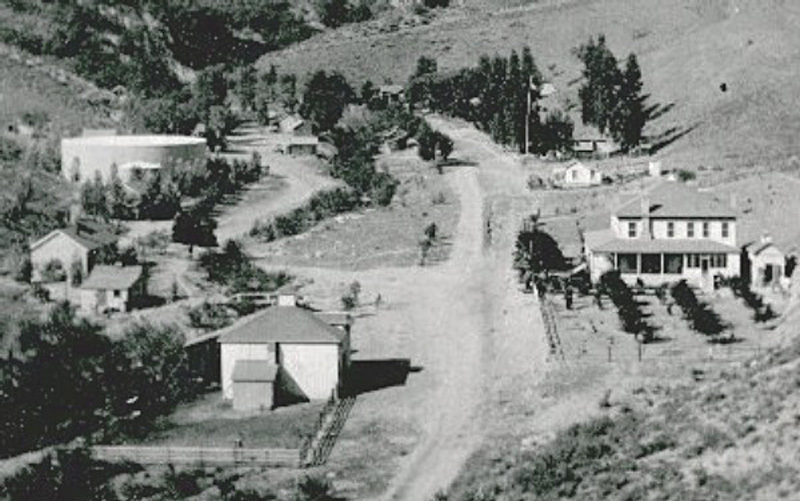 It's during this period we first encounter the name "Mentryville" for the oil town where Charles Alexander Mentry was the oil field superintendent. "The American Petroleum Institute (API) standard for a 20,100-barrel capacity tank (1 bbl = 42 gallons) is 60 feet in diameter x 40 feet in height. For a 12,100-barrel tank it is 52 feet x 32 feet. 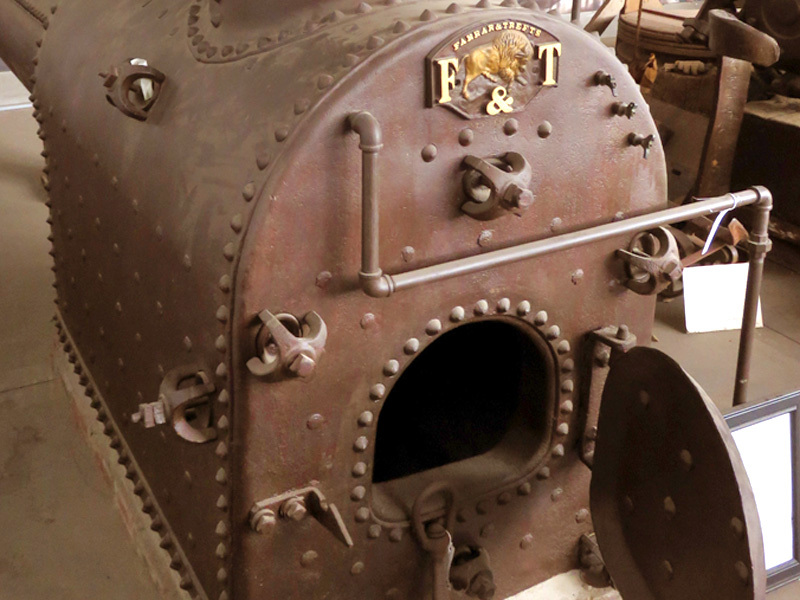 A modern 20,000-barrel tank is about 48 feet tall with a diameter of 55 feet and a footprint of 2,376 square feet. "This is more than likely the large tank opposite the schoolhouse in the old photos of Mentryville. This tank was used for crude oil and not water. Water tanks would be closer to the wells and generally on high places." Los Angeles Herald | August 3, 1883. Mr. B.D. 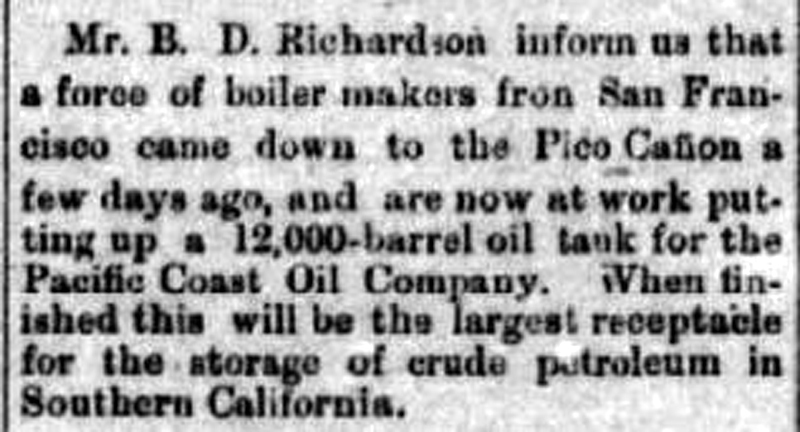 Richardson inform(s) us that a force of boiler makers from San Francisco came down to the Pico Cañon a few days ago, and are now at work putting up a 12,000-barrel oil tank for the Pacific Coast Oil Company. When finished this will be the largest receptacle for the storage of crude petroleum in Southern California. Los Angeles Times | August 8, 1883. Grain is being stored in the warehouse at this place at the rate of 600 sacks per day, and the estimated yield of this valley is 30,000 sacks. All kinds of business is lively here, and several buildings of a substantial character are being erected. The amount of freight handled at this depot is enormous, considering the size of the place and population. 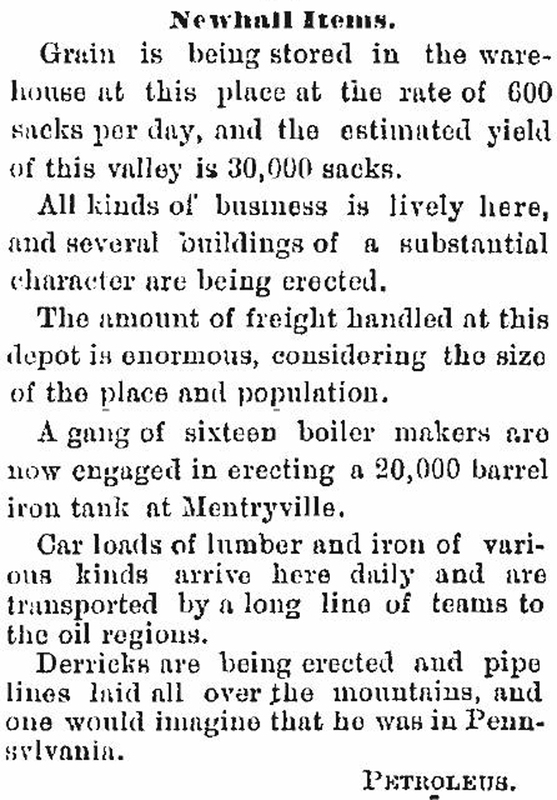 A gang of sixteen boiler makers are now engaged in erecting a 20,000 barrel iron tank at Mentryville. Car loads of lumber and iron of various kinds arrive here daily and are transported by a long line of teams to the oil regions. Derricks are being erected and pipe lines laid all over the mountains, and one would imagine that he was in Pennsylvania. A Staging Gives Way, Throwing Five Men to the Ground — One Man Killed. Los Angeles Herald | September 13, 1883. 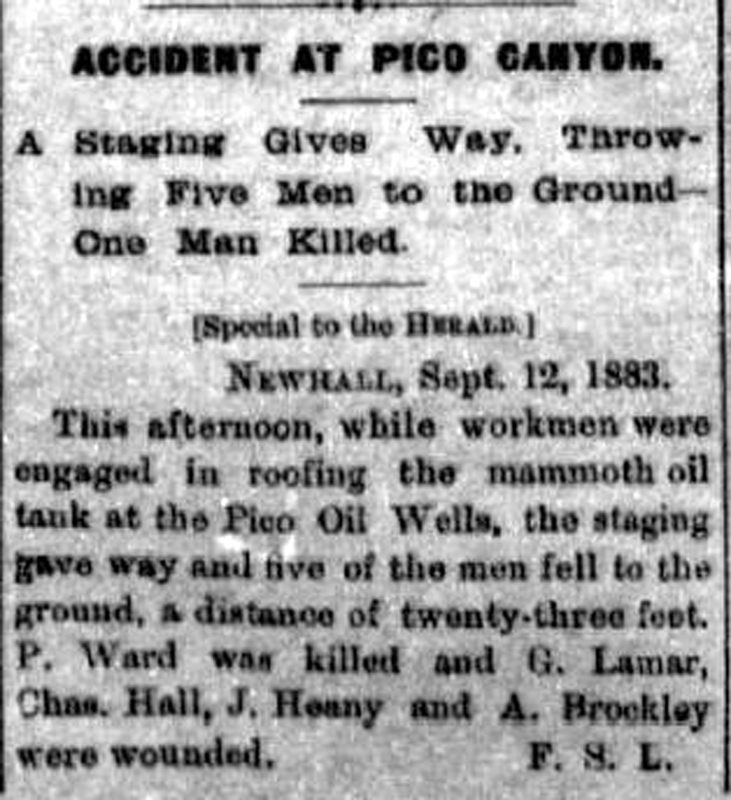 This afternoon, while workmen were engaged in roofing the mammoth oil tank at the Pico Oil Wells, the staging gave way and five of the men fell to the ground, a distance of twenty-three feet. P. Ward was killed and G. Lamar, Chas. Hall, J. Heany and A. Brockley were wounded.